Khorne Daemonkin is a codex released in March of 2015 for Warhammer 40K 7th edition that joins together Chaos Space Marines and Chaos Daemons of Khorne into one force. Despite the new codex merging two existing 40K armies, the codex itself is unique and distinctly its own. 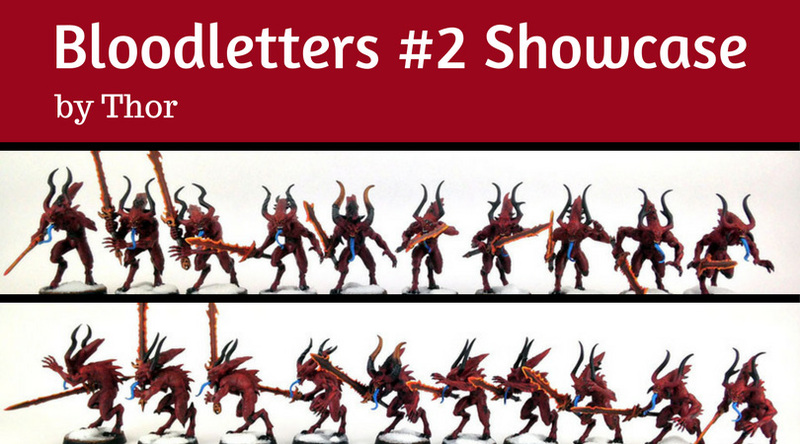 Here you will find articles about Khorne Daemonkin. Thor has an army of Chaos Space Marines, the Disciples of Twilight, who have recently found favor with Khorne and are being played as Khorne Daemonkin. 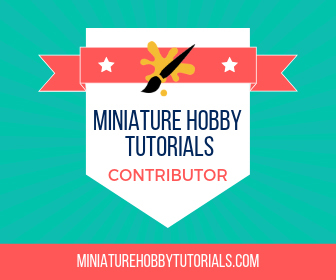 Most of what you will find here is hobby stuff like painting and conversions, as well as battle reports with Khorne’s favored against an array of armies. I finished off my second squad of Bloodletters for my Khorne Daemonkin army. Remembered some valuable lessons with batch painting in the process as well. 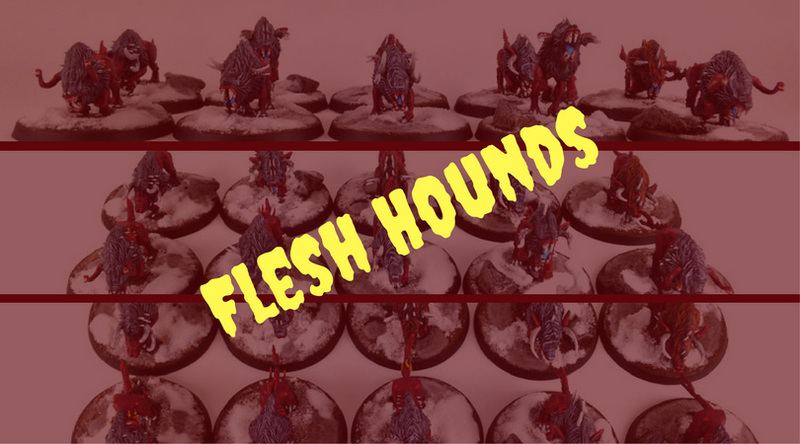 I rebased my Flesh Hounds of Khorne from biker bases to 50mm bases. Here's a gallery of shots showing the completed snow and ice bases for the Hounds. 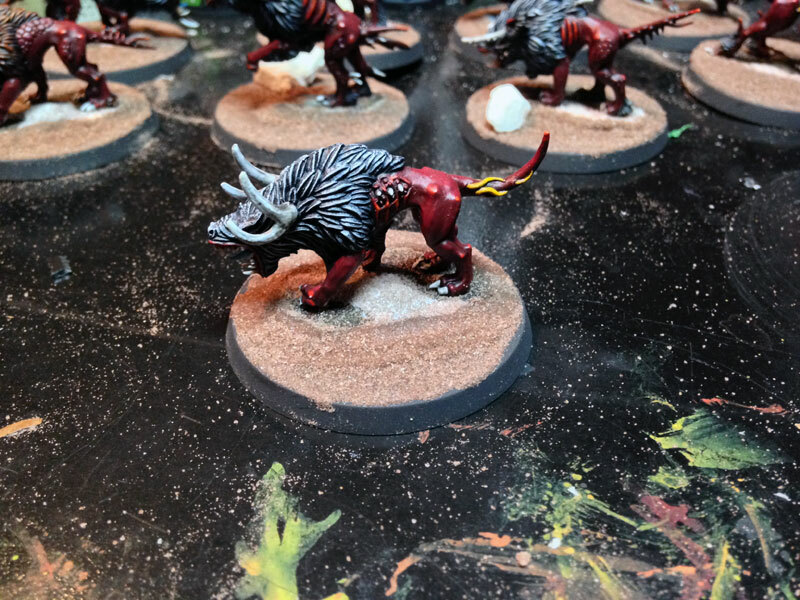 I decided to finally rebase my Flesh Hounds of Khorne from the bike bases they were on to the 50mm bases. I want to show the process I went through. My Chaos Possessed Champion is close to being completed with the sculpting so I figured I'd show off his progress. Still a little bit left to do on him. I'm working on converting up a bunch of old and abused models into Chaos Possessed to use with my Khorne Daemonkin and Chaos Space Marines armies.